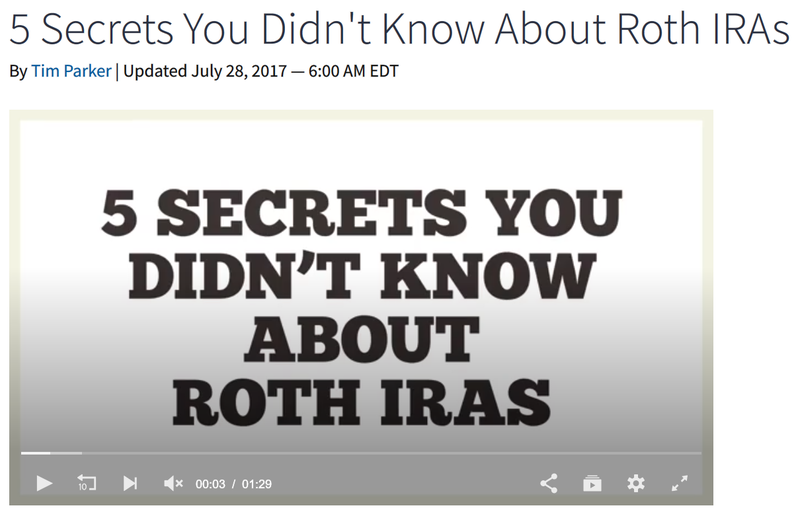 Here’s a blog post from Investopedia on five “secrets” of a Roth IRA. Give it a quick read/watch but also think about this secret, which isn’t mentioned: you can use a Roth IRA for higher education expenses, as with a 529 plan. Why should you consider it? With a 529 plan, only qualified education expenses are allowed, so if Junior doesn’t end up going to college, you may need to change the beneficiary on the 529 designated for him. With a Roth IRA, if you earmark a portion of it—or dedicate an entire Roth IRA to higher education expenses and Junior doesn’t go to college, well, your Roth IRA stays a Roth IRA. Before making this decision, you will want to consider carefully the state-tax benefits on offer from your state of residence. They might make the 529 a better option.